This is a fabric gift bag from the Sewing with Saint Anne book by Alice Cantrell – distributed by Catholic Heritage Curricula. 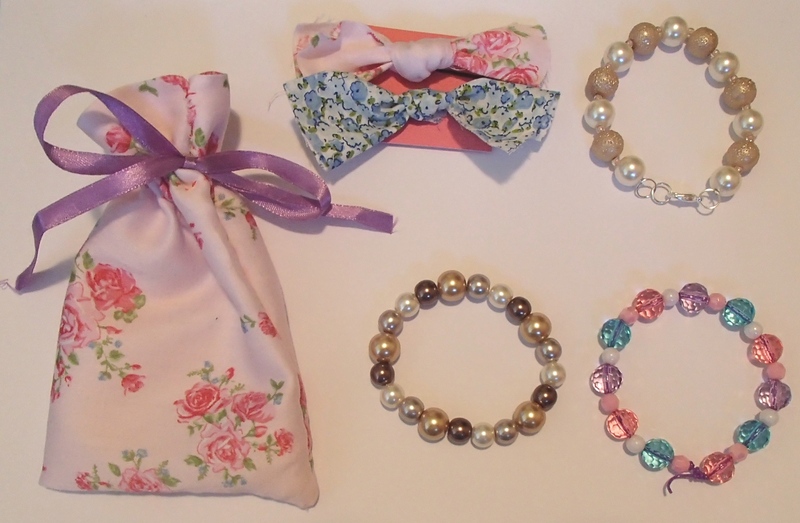 Clare made some bracelets and hair bows to go with it. the fabric bag and bracelets are pretty good! Well done Clare! These look really professional. Was it all done by hand sewing?